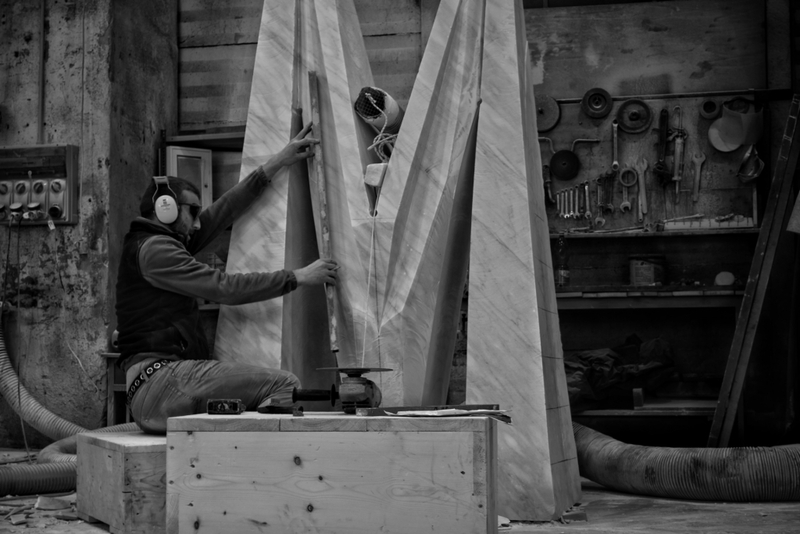 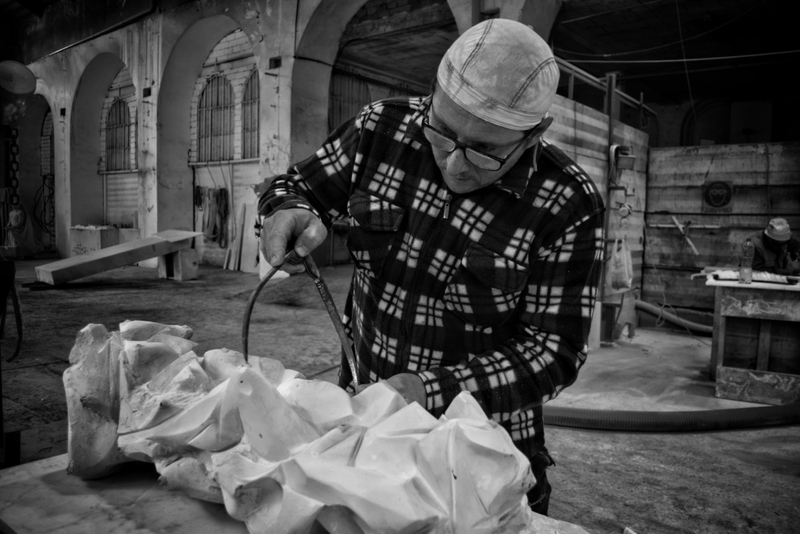 The CARRARA SCULPTORS COOPERATIVE was created by the young Carrara Masters Riccardo Barsottini, Raffaele Bruzzi, Diego Zampolini and Andrea Franceschi. 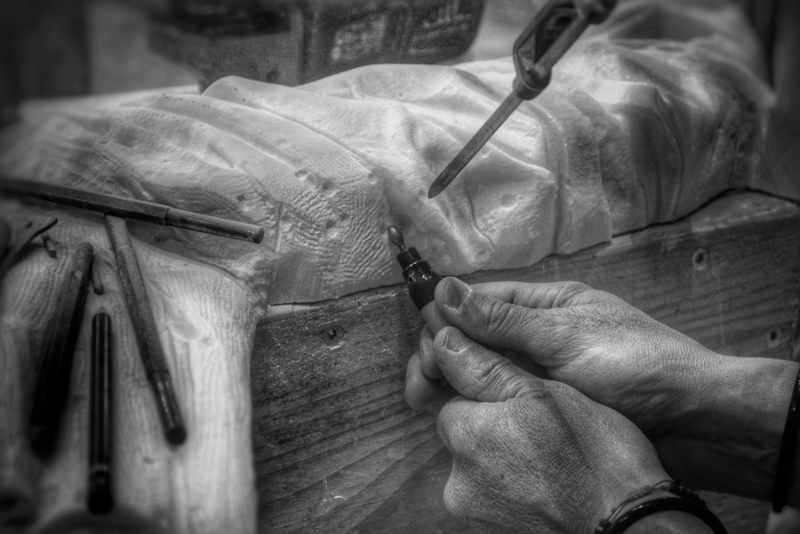 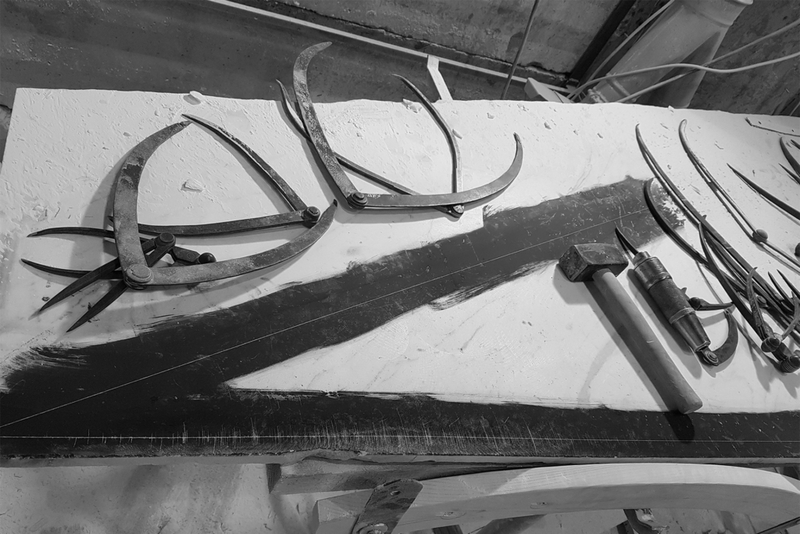 Four young sculptors who still use the chisel and who know how to score the points by moving them from the sketch to the block with the compass technique, drafting the sculpture by hand. 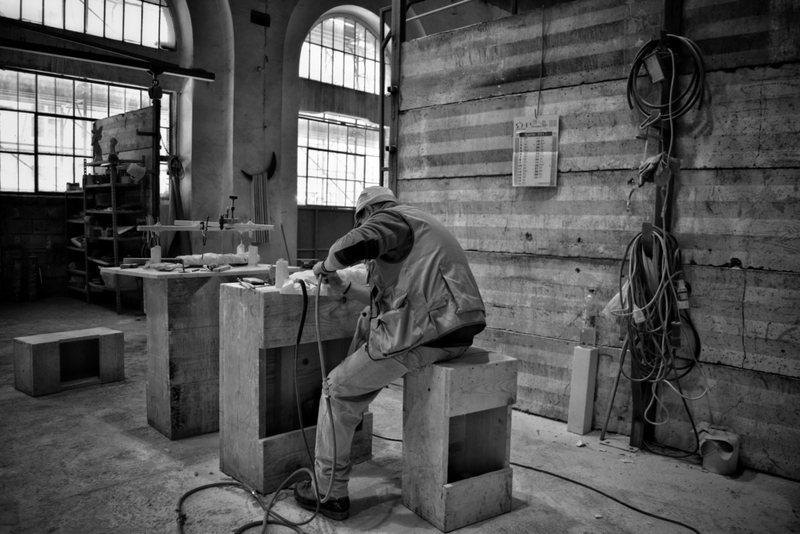 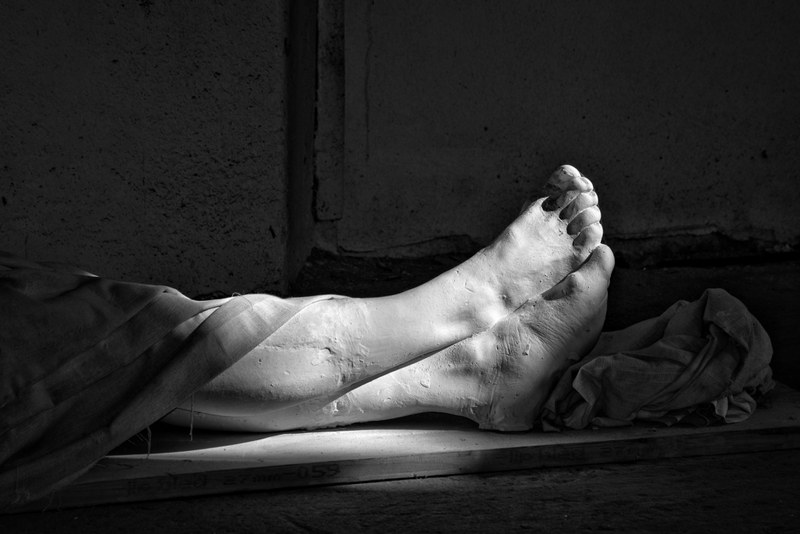 They are sculptors who, like Michelangelo, extract the shape from its marble prison. 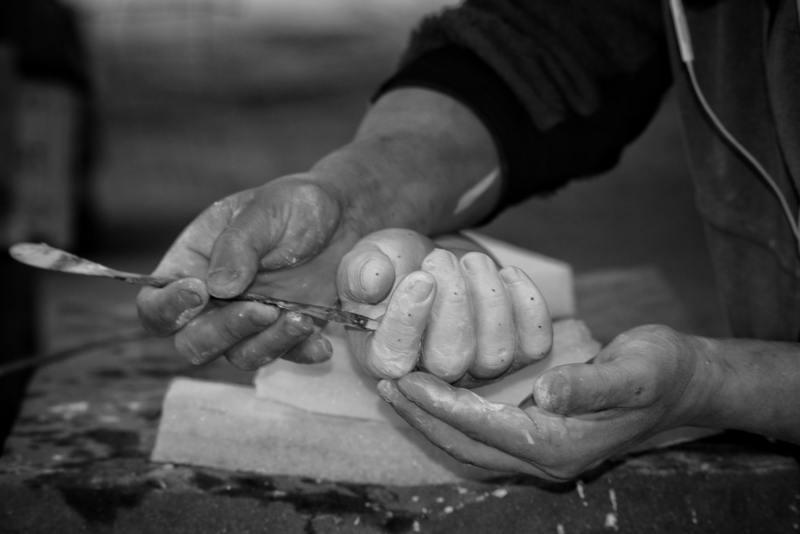 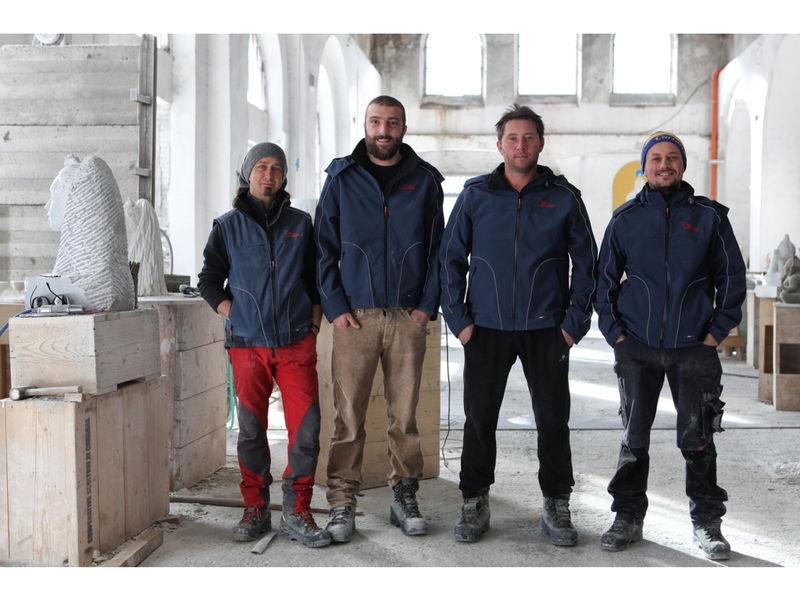 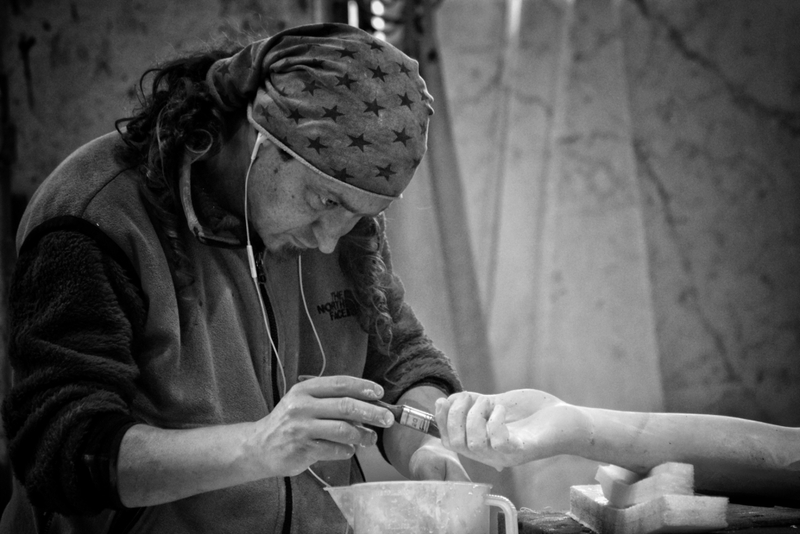 Four young sculptors who carry in their arms and eyes the oldest and most distinguished Carrara tradition and who have had more than twenty years experience in the historic Nicoli Laboratories. 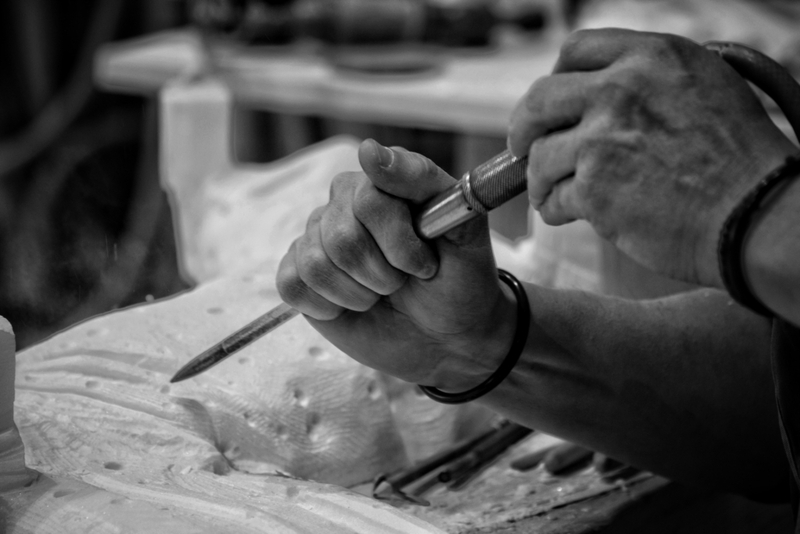 Here they have become the arm of the most famous artistic minds of contemporary sculpture, shaping the marble according to the will of the artists’ genius.